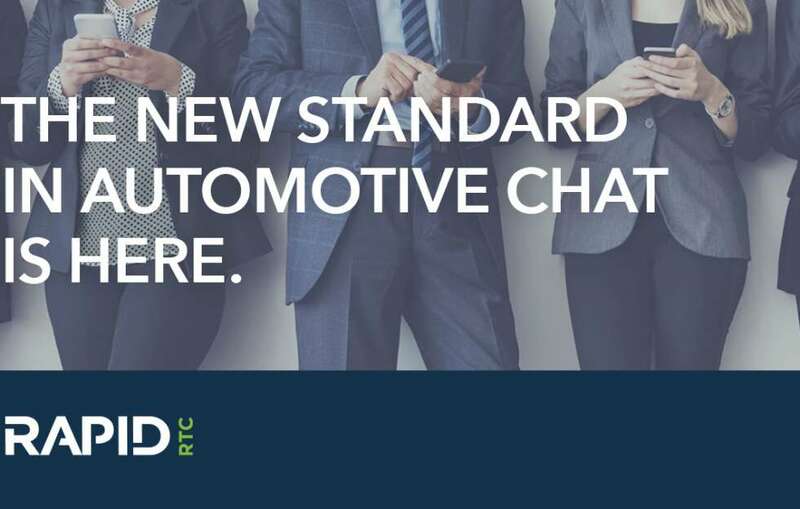 Automotive retailers looking to increase lead conversions are set to benefit from a game-changing live Chat solution from RAPID RTC. The authority in lead management has launched its new Chat platform in the UK, offering live, meaningful real-time conversations between prospects and dealers to the entire UK automotive network of more than 6,000 dealerships. RAPID RTC Chat enhances the typical live chat experience by connecting online prospects to professional salespeople at a preferred dealership – rather than inexperienced web greeters working inside a call centre. It is supported by RAPID RTC’s global, qualified Concierge team which takes care of every online customer enquiry around the clock, connecting them to real salespeople in less than two minutes. Not only does RAPID RTC Chat maximise the customer experience by connecting prospects to the relevant people for relevant answers, it has also been proven to double the lead volume for retailers. With car buyers increasingly turning to the Internet and digital platforms for information before buying a car, it’s never been more important for dealers to offer live chat as a communication channel.